FundsXML V4.1 is now supporting the latest MiFID II (EMT) and PRIIPS (EPT/CEPT) templates. 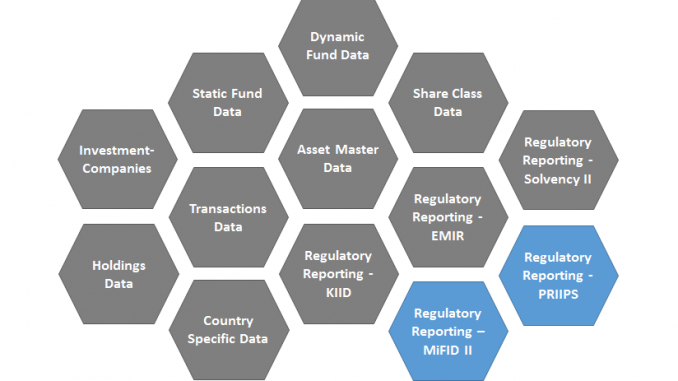 Detailled documentation on the MiFID II and PRIIPS data structure is available. Along with some additional enhancements in the fund static data and holdings sections this version will once more help the fund management industry in fulfilling regulatory reporting requirements in a very efficient way.